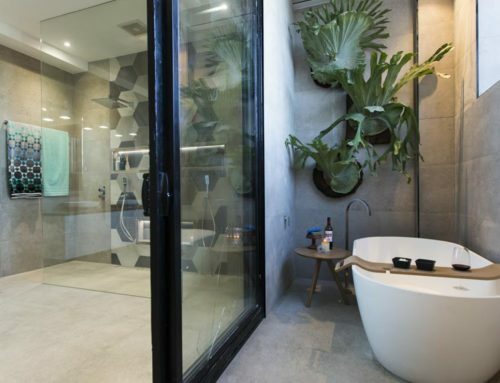 Our stunning Luxe Custom Finished Matte Black Amiata bath and matching twin basins has taken the win for Josh and Charlotte on Channel 9’s ‘The Block – Triple Threat’ master ensuite week. 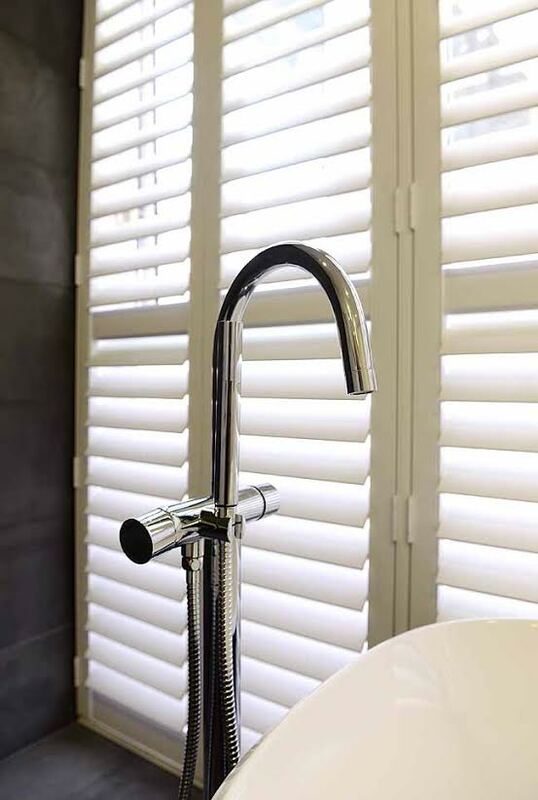 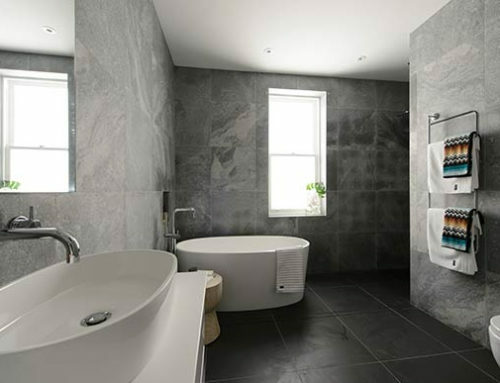 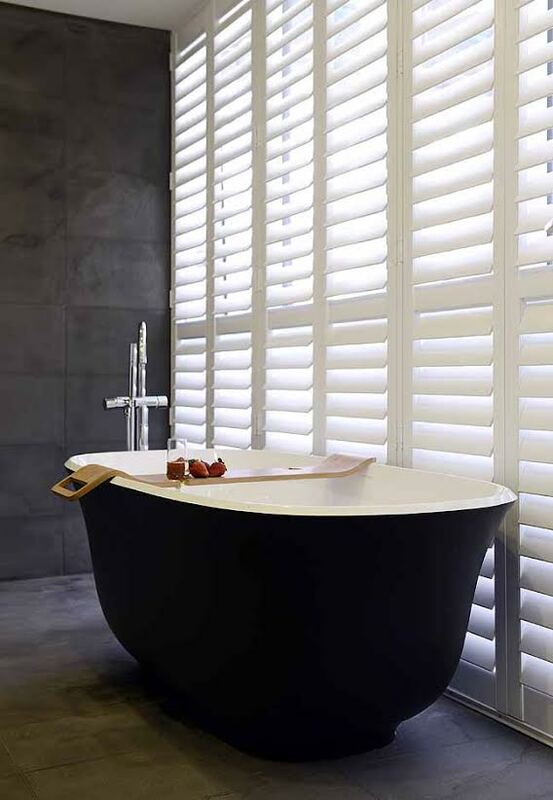 The show stopping bath was teamed with slate grey textured wall and floor tiles, white shutters, a natural timber vanity top and sleek polished chrome tapware and accessories for a crisp yet warm and inviting master bathroom. 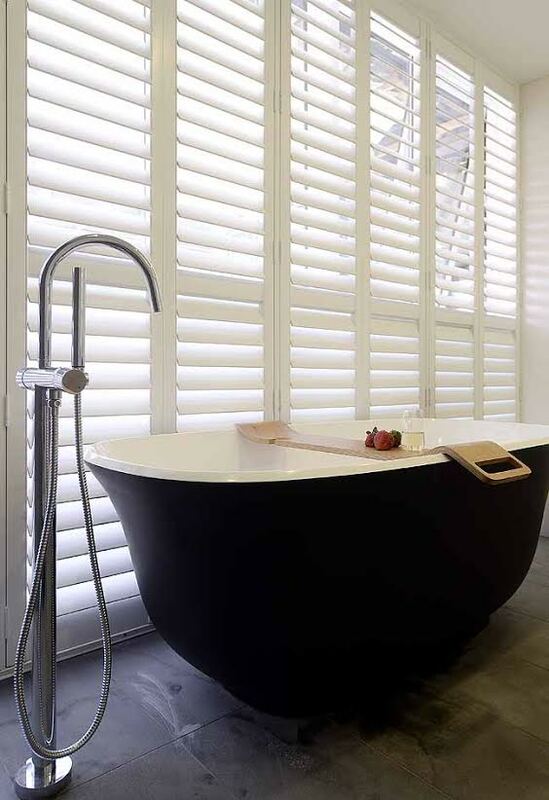 The clever Tombolo 10 Oak bath caddy provides the perfect companion to enjoy a few sneaky snacks and a glass of bubbles while you enjoy a luxurious soak. 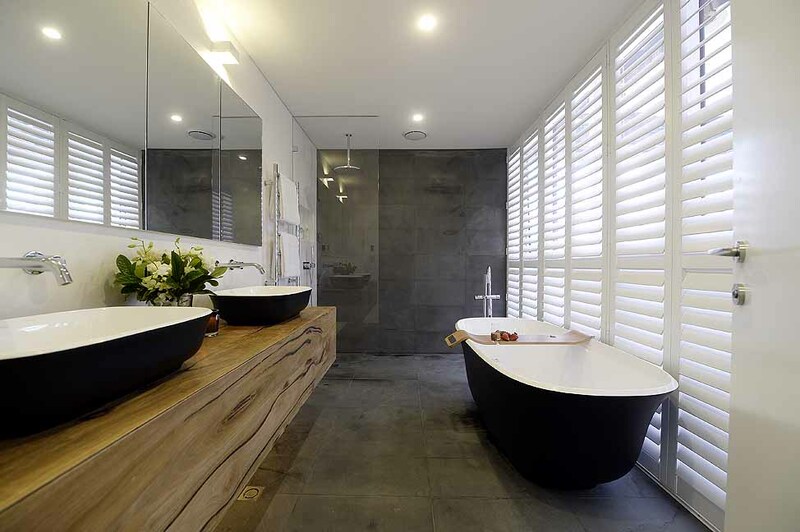 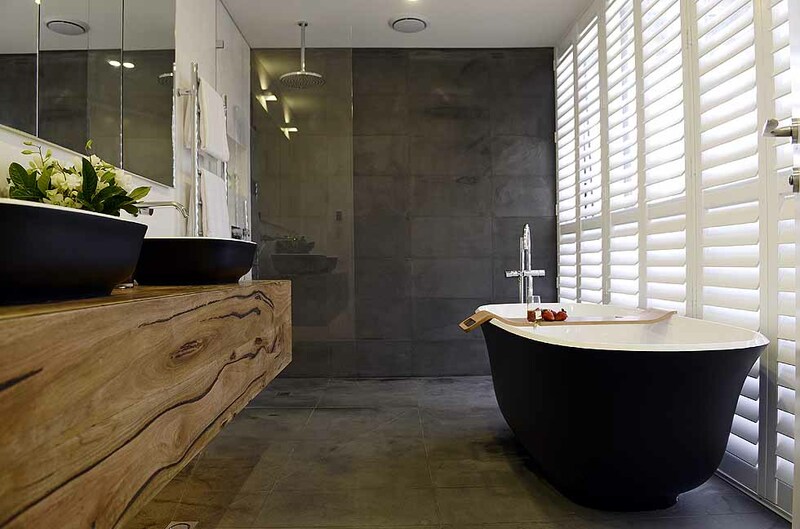 Congratulations to Josh and Charlotte for creating this dream bathroom! 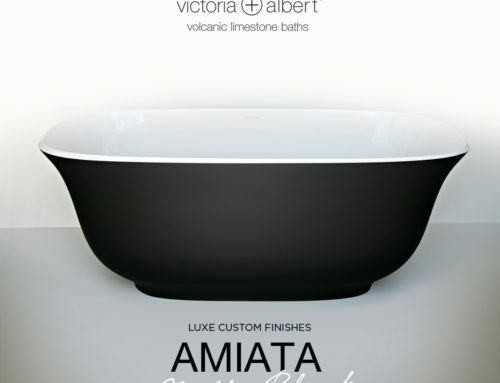 To find your local stockist of Victoria + Albert baths teamed with our Luxe custom finishing option, please visit our stockist page or call 07 3265 7133 to speak to one of our friendly staff.